Pacific Lutheran University v. SEIU Local 925. The Becket Fund for Religious Liberty (n.d.). Retrieved from https://www.becketlaw.org/case/pacific-lutheran-university-v-seiu-local-925/. Pacific Lutheran University v. SEIU Local 925. (Apr. 04, 2019). https://www.becketlaw.org/case/pacific-lutheran-university-v-seiu-local-925/. "Pacific Lutheran University v. SEIU Local 925." The Becket Fund for Religious Liberty. Accessed [Apr. 04, 2019]. https://www.becketlaw.org/case/pacific-lutheran-university-v-seiu-local-925/. Pacific Lutheran University is a private university in Tacoma, Washington offering undergraduate and graduate studies in a liberal arts environment. It is committed to “diversity, justice, and sustainability,” and at the same time, fosters a proud Lutheran tradition. But Pacific Lutheran had to fight to maintain autonomy as a religious university. In 2013, the Service Employees International Union (SEIU) tried to unionize non-tenured professors at the University, even though until then religious universities had been exempt from unionization in order to preserve church-state separation. SEIU claimed that Pacific Lutheran was not “sufficiently religious” to qualify for the exemption and therefore was subject to labor laws enforced by the National Labor Relations Board (NLRB). Represented by Gordon Thomas Honeywell LLP, Pacific Lutheran appealed an initial regulatory decision against it to the NLRB, emphasizing its status as a religious university, and that as a religious university it is up to Pacific Lutheran to make decisions about employees’ status based on its religious mission. 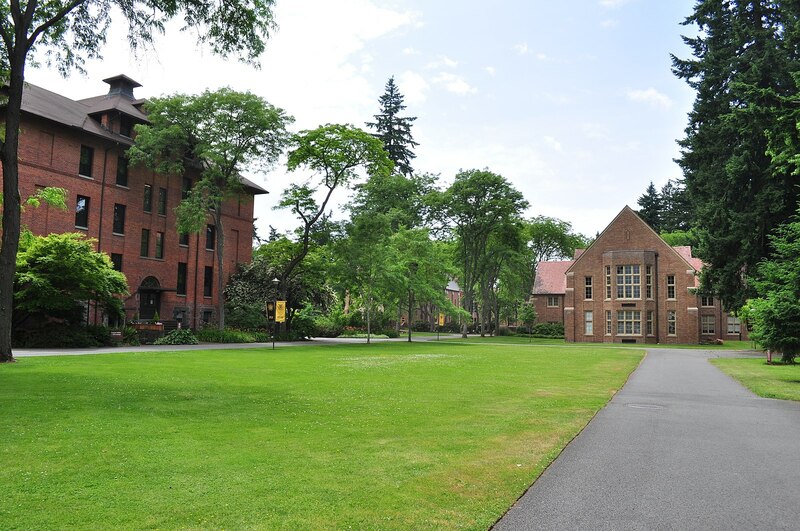 Otherwise Pacific Lutheran risked losing its independent authority to guide practices for its adjunct professors, which is crucial to promoting faith-based values. In a religious university like Pacific Lutheran, teachers are expected to reflect their institution’s faith, and the law must reflect — and protect — that reality. Becket filed a friend-of-the-court brief in support of Pacific Lutheran arguing that the First Amendment principle of church autonomy as recognized in cases like Becket’s Supreme Court case Hosanna-Tabor meant that the NLRB could not oversee unionization contests within religious universities. Despite these arguments, the NLRB ruled against Pacific Lutheran saying that adjunct professors do not overtly perform a religious function and therefore fall under NLRB jurisdiction. The decision also claimed that an institution must prove its religious affiliation, and the religious roles played by employees, before asserting the exemption. This decision was tantamount to a complete reversal of the Board’s former policy, which provided broad latitude to churches and other religious employers. After the NLRB issued its decision—which is binding nationwide—SEIU withdrew its unionization petition, meaning that the NLRB’s change in policy narrowing the religious exemption could not be tested in a higher court. Since then, unionization efforts have begun at a number of religious (primarily Catholic) universities across the country.